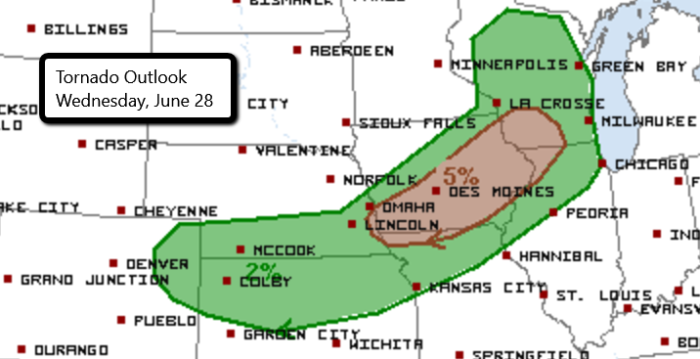 There is an Enhanced Risk for severe weather later today in parts of Wisconsin, Illinois, and Iowa. This includes Madison, WI, and Des Moines, Cedar Rapids, and Davenport, IA. The primary threats will be large hail and damaging wind gusts. An isolated tornado will also be possible through the Enhanced Risk area. 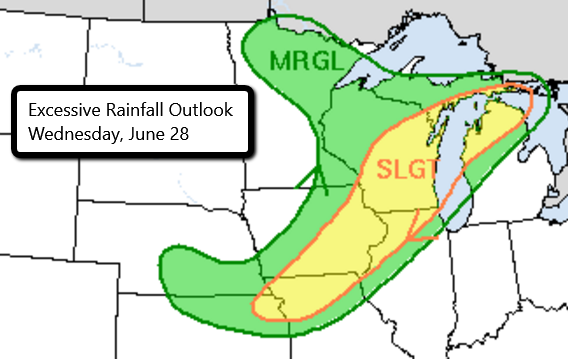 Heavy rainfall will likely occur with any storms that develop. Localized flash flooding will be possible. Watch live storm chaser streams here!